“He was just a local fellow who took pictures. He never really amounted to much.” If you asked the old men who gathered on the bench on the south side of the courthouse in Bonham in the 1950s to chew tobacco, whittle, and tell the stories old men tell, that would have been their general recollection of Erwin Evans Smith. But there was more, of course. 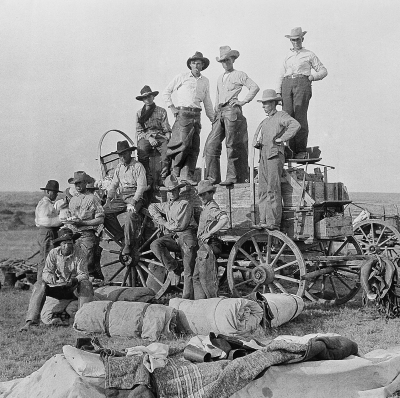 With an infinite patience, and an Eastman screen focus Kodak camera fitted with a Goerz lens with a volute shutter, Smith captured the real image of that most universally recognized of American symbols, the cowboy. That was not his intention, at least not in the beginning. 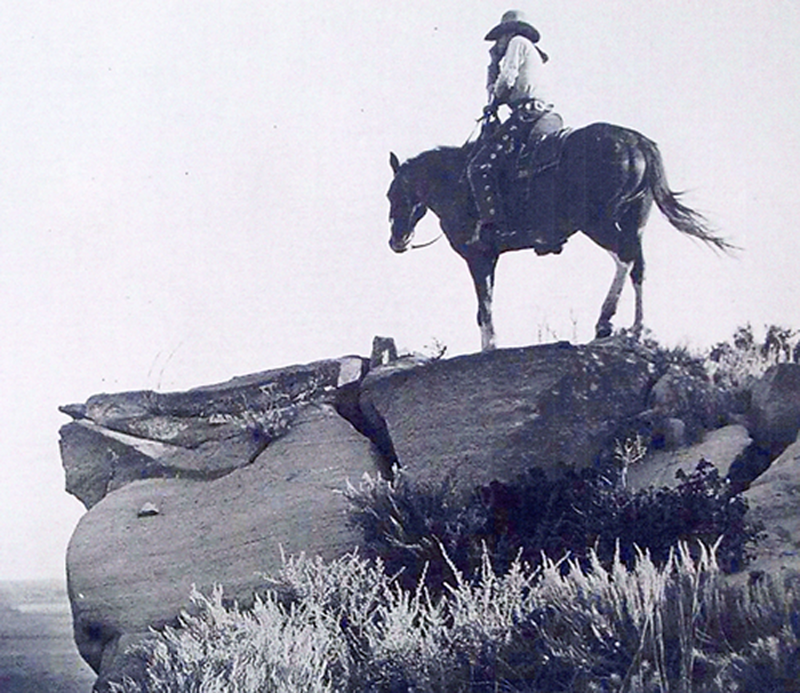 He wanted to be a sculptor and reproduce the West in bronze, but he never quite got there, and somewhere along the way, the legacy he left was almost forgotten. 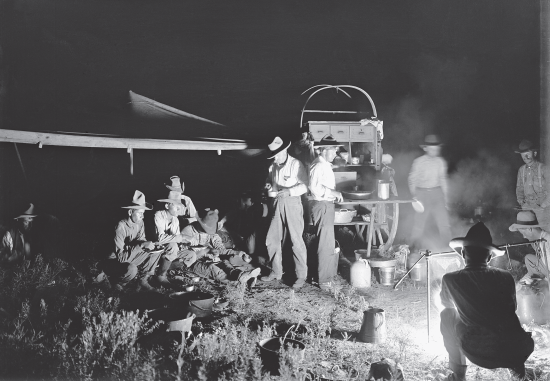 Before one of his summer trips to West Texas, Smith got a simple box camera and began taking pictures of the things he saw. 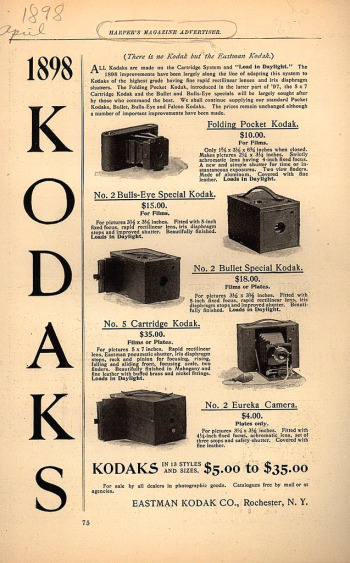 He would bring the exposed film back to Bonham, where he learned to develop and print the pictures in a home darkroom. Smith latched on to the big outfits, riding the range with hands from the Shoe Box, the JA, the Frying Pan, the Matador and the LS ranches. 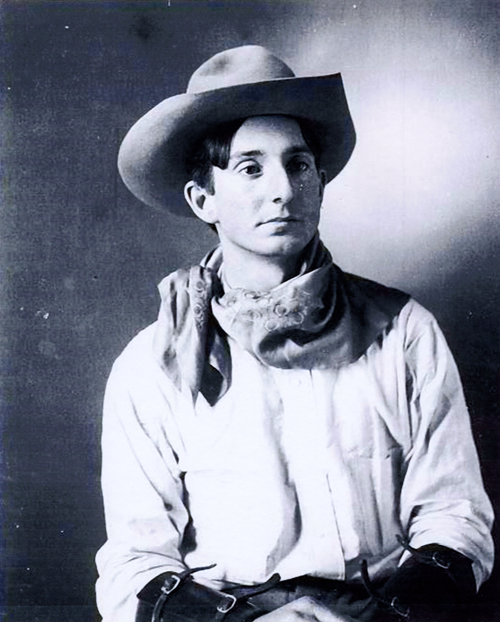 He worked the Palo Duro and the grassland along the Canadian river and spent time with the cowboys in Old Tascosa, a fading cattle town whose dusty streets had once been marked by the boot prints of Billy the Kid, Pat Garrett, and Charlie Siringo. Over the years, he made several attempts to use the photographs in projects, but none of the efforts amounted to much. At his death, Erwin E. Smith was, in the minds of many like the old men around the courthouse in Bonham, “just a local fellow who took pictures. He never really amounted to much.” But there was more of course, so much more. 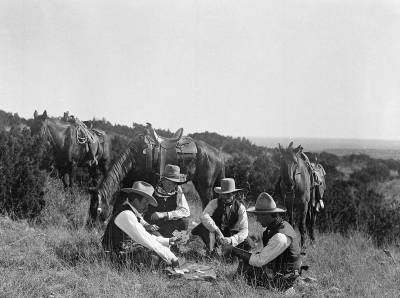 Edwin Sanders (right) and Three Cowboys Taking Time out for a Game of Hearts, Three Circles Ranch, Texas 1906, Nitrate negative, 4 x 5 inches. 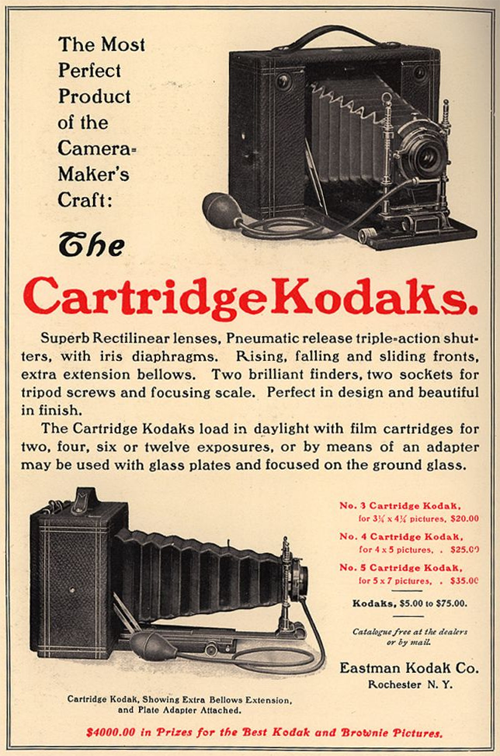 Erwin E. Smith used a “cartridge” style Kodak that required loading a sheet of unexposed film into the back of the camera, and then processing the nitrate based film to create a negative that could then be printed. 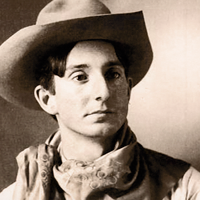 The originals of Smith’s work are now preserved by the Amon Carter Museum in Fort Worth. They can be viewed at http:// www.cartermuseum.org/collections/smith/. The Red River Historical Museum in Sherman and the Fannin County Historical Museum in Bonham have collections of Smith prints and there are examples of his work in the Fannin County Courthouse. Contact the Amon Carter Museum in Fort Worth. Allison Gillies paints large, so large that the usual run of canvases don’t provide enough space for her expansive ideas of color, shape and texture. She tried making her own canvases out of fabric from Wal-Mart, but that didn’t work either. An old tarp in her father’s garage reminded her of a sail, and her quest for something big enough to hold her ideas was over.